The following SC&H Group “Expertise Beyond the Numbers” blog post offers a fun and creative way for executives and senior management to think about achieving business success – which is not all that different from creating a delicious Thanksgiving feast. Success in any business requires a strategic mix of the right ingredients. When the right elements are combined, and simmer at the proper temperature, the outcomes are just as rewarding as a well-prepared Thanksgiving dinner: long-term revenue growth. Revenue growth begins with the proper planning, just like Thanksgiving dinner. There are many items to plan beyond the meal itself. You need to consider everything from the right place settings to the décor to those joining you at the table – the same can be said about today’s businesses. Proper planning sets the stage for an enjoyable feast. In this analogy, think of a business as the Thanksgiving table. There are core elements helping to make – or break – your success before even getting to the actual meal. In this scenario, there are three key components of the table that set the stage for the meal, and your business success. Growth Strategy (the Plate): A company’s growth strategy is similar to a plate. It’s the base of the meal, and serves as the foundation for achieving all business goals. Corporate Services (the Silverware and Serveware): You can’t eat a meal without silverware, or dish out food without serveware. Similarly, you can’t operate a company without your corporate services team. Without these necessities, the table can get messy very quickly. Corporate Culture (the Décor): The table décor can reveal information about your personality and preferences, much like how a company’s culture provides insights into the values, beliefs, and principles that guide the organization. We’ve set the “table” as well as the stage for the key components to support your business. Now, let’s take a look at the recipes and ingredients involved in filling your plate and creating a successful meal. Profitability/Financial Management (the Turkey): Profitability is the key to long-term business success, just like the turkey is the star dish of most Thanksgiving feasts. However, much like cooking a turkey properly, developing and implementing the right financial management strategies takes time, care, and patience. Performance technology solutions can improve the efficiency and accuracy needed to manage business growth. Tax Advisory Services (the Stuffing): The right tax advisory services can help minimize future tax burden and protect profitability. Much like stuffing, tax advisory services add to the “financial flavor” within a business. Business Valuation (the Gravy): Gravy is a vital element of any great Thanksgiving meal. Much like this Turkey Day staple, business valuation serves as a powerful tool to guide strategic decision-making, gauge business performance, and maintain compliance. Contract Compliance (the Spices and Seasonings): An often-overlooked part of Thanksgiving meal preparation, the right mixture of spices and seasoning can truly enhance the “return on happiness” of dinner. 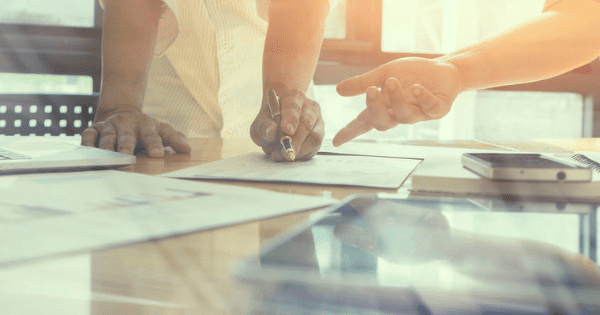 The same can be said about contract compliance, which can increase your return on investment, boost profit margins, and enhance vendor relationships. Personal Financial Planning (the Mashed and Sweet Potatoes): The mashed and sweet potatoes are analogous to personal financial planning. Why? Because everyone has a preference when it comes to potatoes, just like everyone has their own unique “taste” for risk when it comes to investment planning. Risk Management (the Dinner Rolls): Rolls offer an enjoyable meal option for all, and minimize the risk of someone not liking a certain part of the meal (canned cranberries, anyone?). The right risk management strategies allow you to continually identify and adapt to potential business threats in a rapidly changing environment. Auditing (the Green Bean Casserole): Much like the ingredient-heavy green bean casserole, the right auditing services cover a range of services and can impact a wide variety of business outcomes – from financial management to regulatory compliance requirements. Cybersecurity/IT Advisory (the Mystery Dish): The Mystery Dish – often brought by an over-zealous Aunt – is elusive, and can’t be ignored during the meal. The same can be said about combating a wide-range of cyber and IT vulnerabilities that could negatively impact your business. Exit Strategy (the Dessert): Whether it’s pumpkin pie, apple pie, or cookies, everyone thinks about dessert from the onset of the meal, and views dessert as the fulfilling reward at the end of the dinner. Just like dessert, you should think about your business exit strategy from the beginning of company inception, because it can serve as a reward for your years of hard work. Preparing a Thanksgiving meal comes with many challenges – just like long-term revenue growth takes lots of work and preparation. However, with the right ingredients, it’s possible to serve up business success, just like a tasty holiday meal that pleases everyone. In the coming weeks, SC&H Group will offer a wide-range of creative, holiday-themed posts offering valuable audit, tax, and consulting insights. In the meantime, if you would like assistance combining the right ingredients for long-term business success, please contact us here. Happy Thanksgiving from SC&H Group!